In the year 1966, during a cyclonic storm at Melmarvathur, a neem tree secreting sweet medicinal milk uprooted to reveal the Swayambu (an oval stone- like emanation). 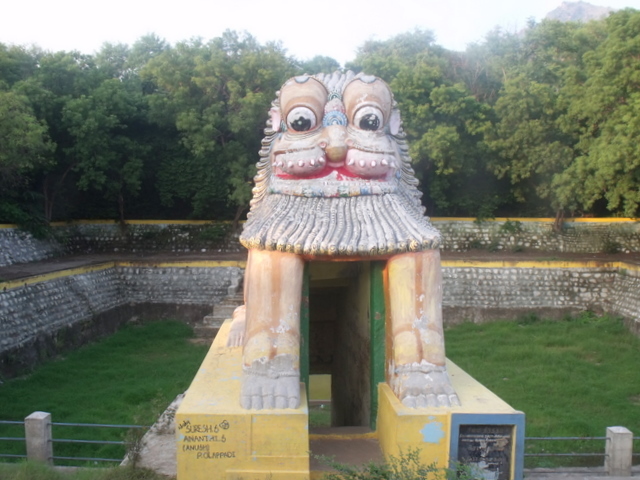 Legend has it that the power above revealed itself in the form of the Swayambu and proclaimed that It had transmigrated into this form and would give Oracles through the form to save the World. Thus was established the Arulmigu Adhiparasakthi Siddhar Peetam. 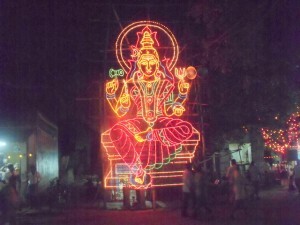 This Peetam is situated at Melmaruvathur, 92 km south of Madras in Kanchipuram district of Tamil Nadu. 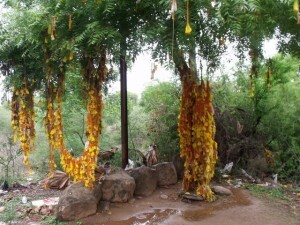 This is believed to be the place where 21 Siddhars(saints) men as well as women from different religion, had their Jeeva-Samadhis (meaning, where the Siddhars left their human forms behind, while they are still alive as holy spirits). 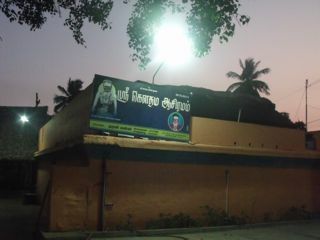 The basic tenet of the Melmaruvathur Adhi Parashakthi Siddhar Peetam is “One Mother, One Humanity”, meaning that the whole human race is one and all the human beings who inhabit this vast earth are children of the Divine Mother and therefore there is no distinction amongst the human beings on any basis, be it religion, race, creed, community, caste or even gender. 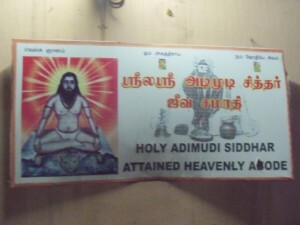 The main objective for which the Siddhar Peetam strives is “the cult of Sakthi”. The principle being that the whole human race is born of one omnipotent Mother and hence the whole of mankind is one. 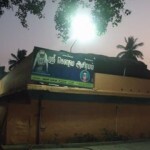 This Shakthi cult has become increasingly popular in recent years and has led to the building of special Parashakthi temples perpetrating the principles of this cult in many major hindu religious places all over Tamilnadu. The Adhiparashakthi siddhar kovil situated on the outer girivalam Chengam road is one such temple. 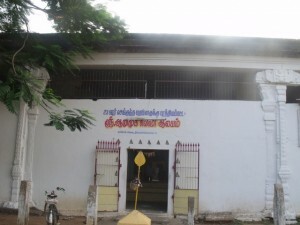 The temple is located on the Chengam road in front of the Palakottu area and opposite the Shantimalai handicrafts centre. It was consecrated about two years ago. 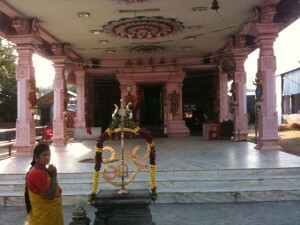 It is built over a fairly large area and boasts of a large mandapam with beautiful mandalas sculpted over the ceiling. 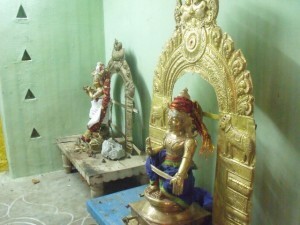 The Parashakthi deity is represented as a graceful panchaloha idol in bronze set in a modern shrine. 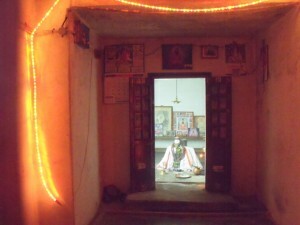 The walls are painted in hues of red and pink. 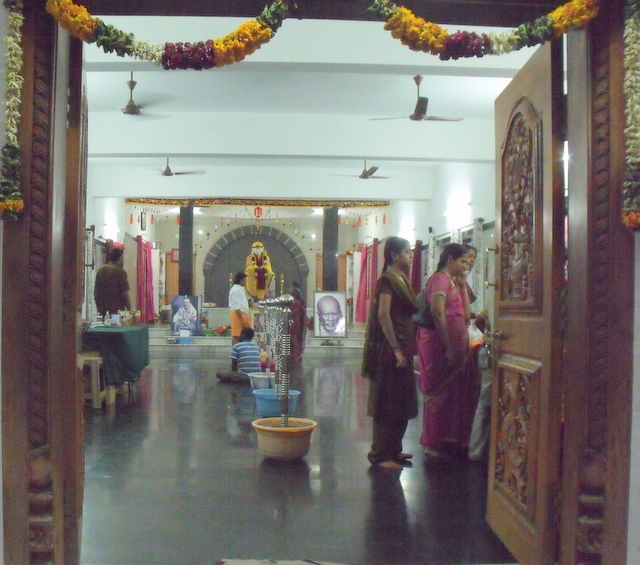 The Shakthi cult worship takes place twice a month at full moon and new moon during which times the temple is fairly packed with devotees mostly women all dressed in red and chanting loudly the praise of the Divine Mother. At other times the temple is almost deserted except at meal times when the sadhus line up to receive the free prasad that is distributed. 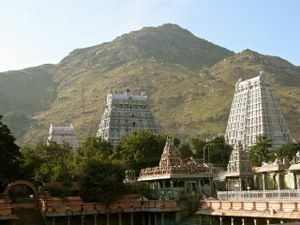 The most attractive feature of this temple is the gentle view of Arunachala with which one is greeted as one traverses the portals of the temple.. 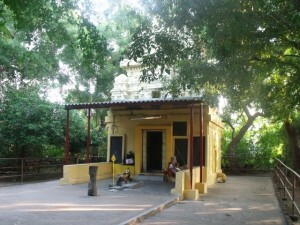 The shrine of Sage Gautama can be found on the outer girivalam road, on the left side, a few metres before one comes to the Surya lingam shrine. What used to be a derelict shrine falling to ruins has now been renovated in a fairly correct manner, keeping intact many of the ancient aspects. After the renovation, the Kumbhaabhishekam ceremony to reconsecrate the shrine in all its sacred elements was performed on a grand scale a few months ago. 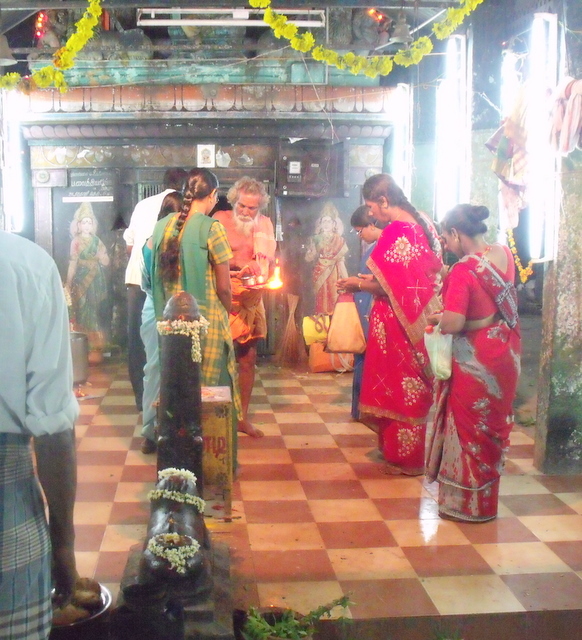 The foyer of the temple is an ancient classic mandapam with sculpted stone pillars and statues of some lesser deities. Leading from this, a small ante-chamber opens to the main shrine where-in stands the deity of Gautma Maharshi in the form of an ancient stone sculpted figure with a very fine, venerable head seeing which one feels obliged to bow and pay obeisance to this great saint of yore. Indeed Gautama Maharishi is one of the Saptarishis (Seven Great Sages) and one of the Maharishis of Vedic times. He is revered as the inventor of the Mantras — ‘Mantra-drashtaa’, in Sanskrit. The Rig Veda has several suktas (Sanskrit: ‘hymns’) that chant with his name. He was the son of Rahugana, belonging to the line of Angiras. 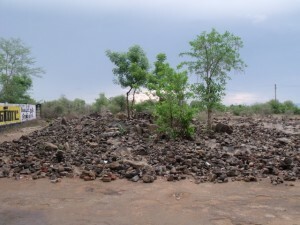 There is even a legend that the river Godavari is thus named because of its connection with Gautama. 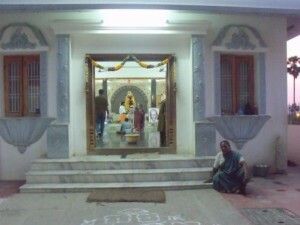 He had two sons by name Vamadeva and Nodhas. 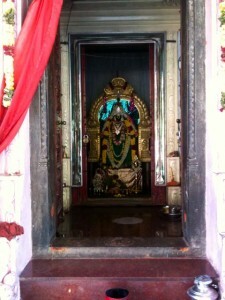 His wife is Ahalya, the ‘mind born daughter’ (Sanskrit: manasa putri) of Brahma. The puranas contain the story wherein it is described how Gautama won the hand of Ahalya by circumambulating the divine cow in order to fulfill the stipulation of Brahma that whoever first goes round the whole Earth would win the hand of Ahalya. The ‘chief priest’ of King Janaka by name Shatananda was the son of Gautama and Ahalya. Gautama’s sixty-year long penance is mentioned in the Mahabharatha. Among the renowned deeds of Gautama there is one in the Narada purana which describes the story of the 12-year famine during which Gautama fed all the Rishis and saved them from starvation! 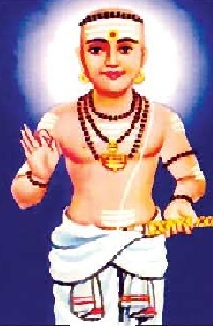 Thiru Manickavasagar, author of the ‘Thiruvasagam’ an important scriptural work in the tamil saivaite scriptures, is one of the most revered among the tamil saivaite saints known as the Nayanmargal. He was born at Thiruvathavoor near Madurai in a Brahmin (Amattiya) family. 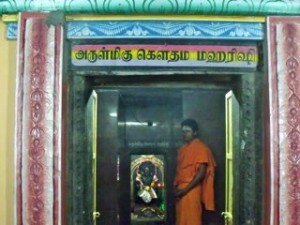 He completed learning religious works and the agamas of the Saivaite order very early in life. Impressed by his intellect, the Pandya king Arimarttanar employed him as his prime minister. Although he was a loyal aide to the king and a “brilliant courtier” enjoying all the luxuries attached to his honoured position, his mind was always immersed in sacred writings on the Saivaite faith. His soul was filled with infinite pity for the sufferings of the people who, he felt, passed through the cycle of births and deaths only to suffer irremediable woes. 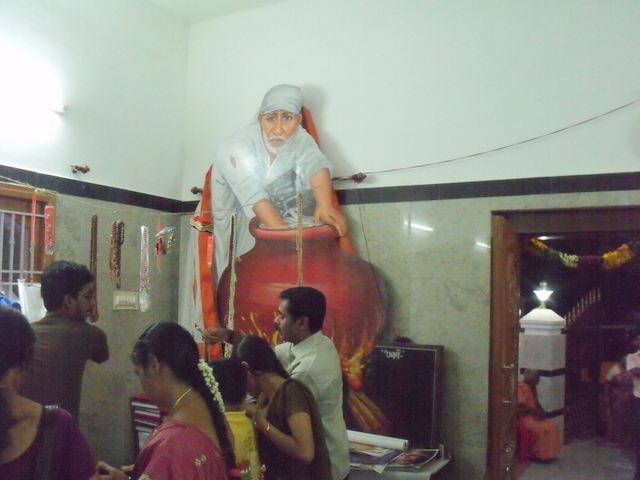 His soul longed for Siva and “he yearned to meet a guru who would teach him the way of release”. So, it was not surprising that, even when he was sent by the king to purchase horses for the kingdom, his mind continued its search for the guru. 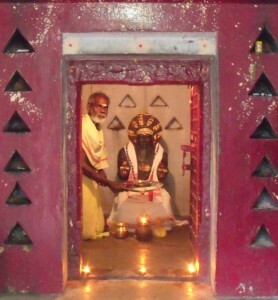 He did meet the guru (Siva), as the legends go, on the way. Manickavasagar spent all the king’s money on the guru’s disciples and assistants. Learning of this, the king brought him back. 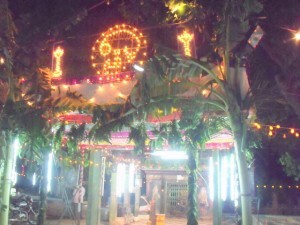 According to the legends, when the king ordered punishment to be meted out to Manickavasagar, Siva intervened on behalf of his devotee and performed some miracles. Ultimately, Siva ordained that Manickavasagar should visit temples, sing songs and spread Saivism, the legends say. In Tiruvannamalai, Manickavasagar is believed to have stayed in the village of Adi Annamalai and here the Lord appeared to him and granted him the divine outpourings of the Tiruvempavai, the sacred chants of Lord Siva which are sung till today in all Siva temples during the month of Karthigai. 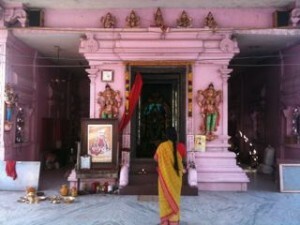 At the place where the Lord actually granted him dharshan, there now stands a temple known as the Manickavasagar temple. The outside walls of the temple contain frescoes of the 63 Nayanmars and hindu gods and goddesses notably one of Lord Shiva-Nataraja. 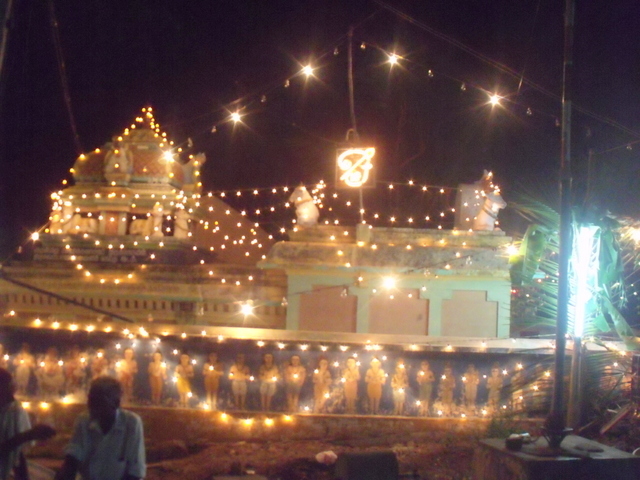 Recently, a festival was celebrated here in honour of the saints’ birth anniversary. The whole external structure of the temple was decorated splendidly with golden lights and inside the shrine, abhishekams were performed to the shivalingam and to the statue of the saint himself depicted in the position of playing a veena (since he was known for his musical talents in vocal singing and the playing of musical instruments). After the religious ceremony, the temple authorities had also organised a live instrumental and vocal music concert with compositions of the saints’ works played and sung by local musicians. This was quite pleasant and made a fine change from the usual blaring of loudspeakers with recorded music which is often the practice at small temple festivals. 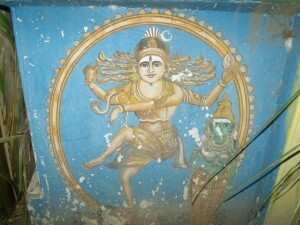 Hindus believe that the present age is Kali Yugam, the age of darkness and degeneration. The presiding deity of this yugam is Lord Muruga, the Kali Yuga Varadan. His weapon the Vel or spear signifies victory and it is ordained that this will ultimately restore peace and harmony to this chaotic age by destroying arrogance, violence and injustice. The worship of Lord Muruga has been practiced by the dravidians since the pre-christian era. Needless to say that this worship is still continued today with great religious fervour and devotion all over South India and especially in Tamil Nadu. 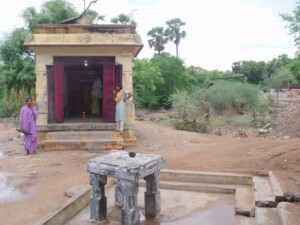 One of the many legends associated with the origin of Lord Muruga narrates that Lord Shiva emitted sparks from his third eye and these fell into the Saravana Poigai (celestial lake) to become six babies. 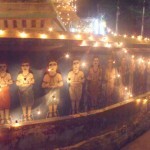 Six divine damsels then sprung forth to nurse the babies and were subsequently rewarded to appear as the Karthigai or Pleaides constellation. When Shiva’s consort Parvati beheld the beauty of these children, she embraced them all together to become one form with six heads and twelve arms. In this form Lord Muruga is known as Shanmukha or Arumuga Swami(the six headed god). 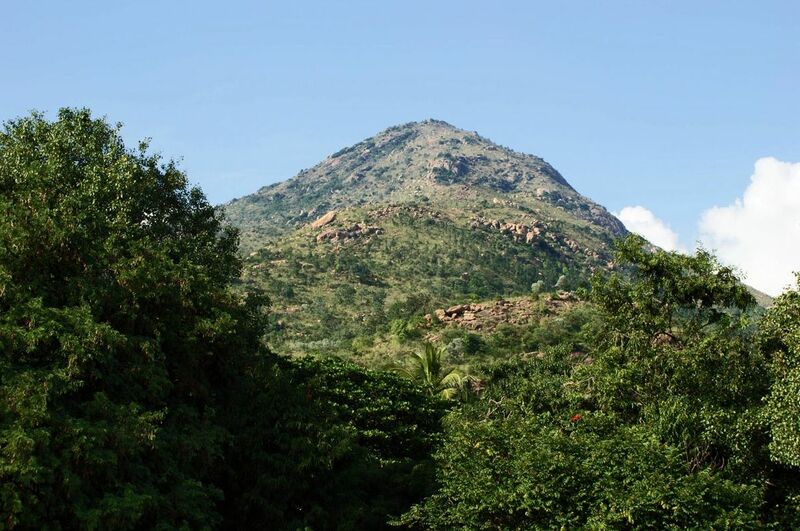 On the Arunachala girivalam, an old temple to Arumuga Swami can be found on the outer Chengam road about half a kilometre after the Arts college and just opposite the Simha Theertham. The temple has a large vestibule like hall in front where sadhus take shelter. Further inside is an open air quadrangle with plenty of trees and greenery. In the centre, is the actual shrine to the Lord. 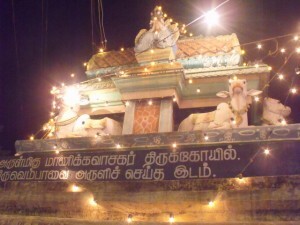 The deity is in the form of an ancient stone statue depicting Muruga with six heads and twelve arms, majestically seated on a peacock. 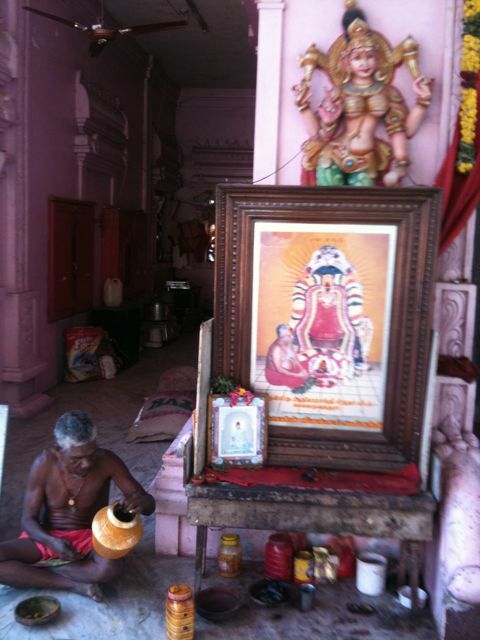 As is the custom in many girivalam shrines, an old sadhu officiates as priest and performs the puja It is touching to note that he takes care to wave the arathi flame to each of the six heads in turn by going round the deity. 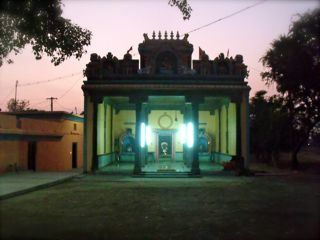 A nice feature of this temple is the quietness inside as it does not attract many people, so it can also be a good place for meditation. When a devotee thought that giripradakshina was meant only for novices and not for advanced sadhakas, Bhagavan made him understand that this was not so and the devotee changed his notion and started going round the hill regularly and was helped immensely in his sadhana. 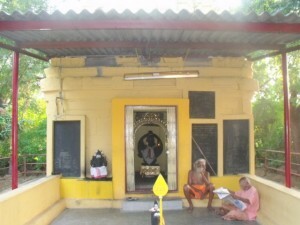 On another occasion a sadhu going regularly round the hill, requested Bhagavan for a vedantic text. To this another devotee casually remarked “He only goes round the hill, what will he do with any vedantic text”. 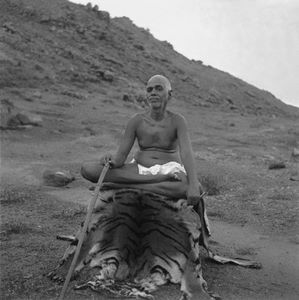 Bhagavan immediately retorted, “What better sadhana can there be than going round the Hill?” There are thus many anecdotes which show the great importance Bhagavan gave to Giripradakshina. 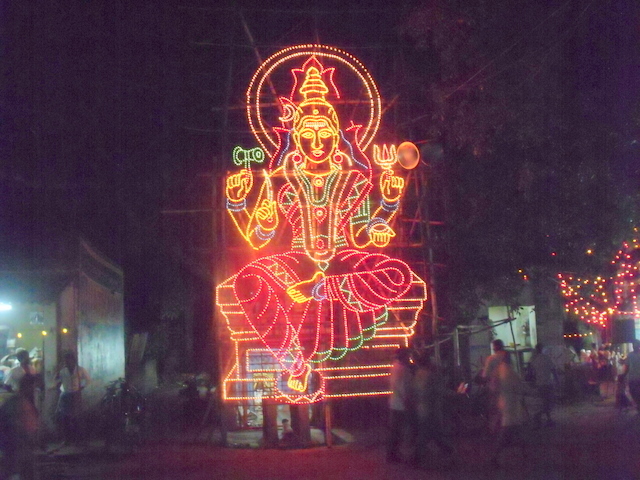 After the one hundred thousand lamp festival a few weeks ago, the village of Adi Annamalai on the Girivalam road is once again a venue for yet another festival dedicated to the resident Mother Goddess of the region. 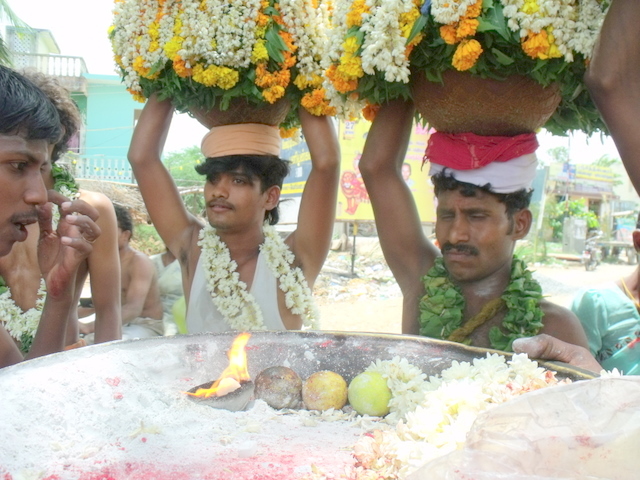 The first day of the festival dawns with the ceremony of the Kooluthal meaning distribuition of porridge. Kool or Ragi porridge is prepared in every house and then poured inside the huge temple cauldron and left to ferment overnight. The next morning it is distributed to one and all as prasad. 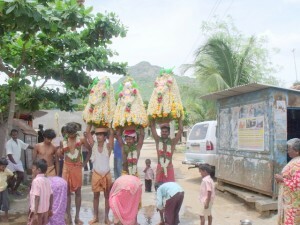 During the day, there takes place a dance ritual known as Karagattam. 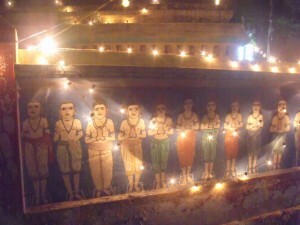 In this, a group of male dancers with bells tied around their feet and huge decorated pots balanced on their heads go dancing around the streets of the village accompanied by a band of folk musicians. 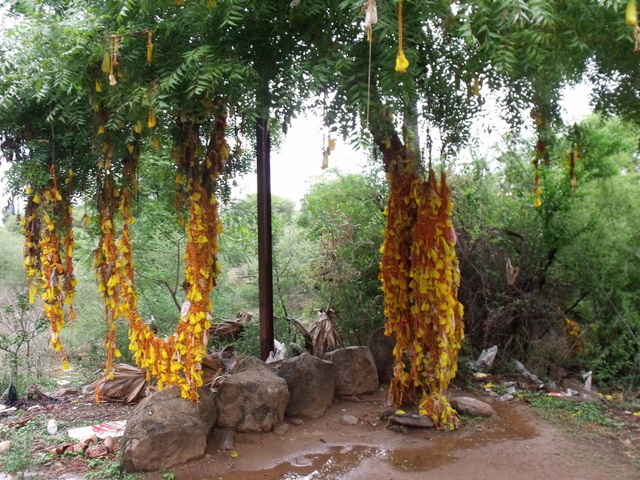 These dancers on this day are believed to be embodiments of the Goddess and they are honoured in each house with women coming out and washing their feet with turmeric water and prostrating themselves on the ground. 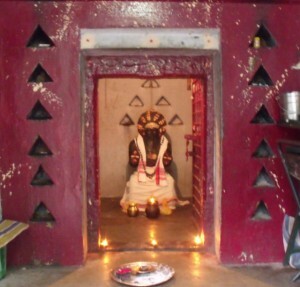 Camphor arathi is also performed as is the custom for any temple deity. In the evening there is a huge abhishekam ceremony performed to the Mariamman deity of the local temple. 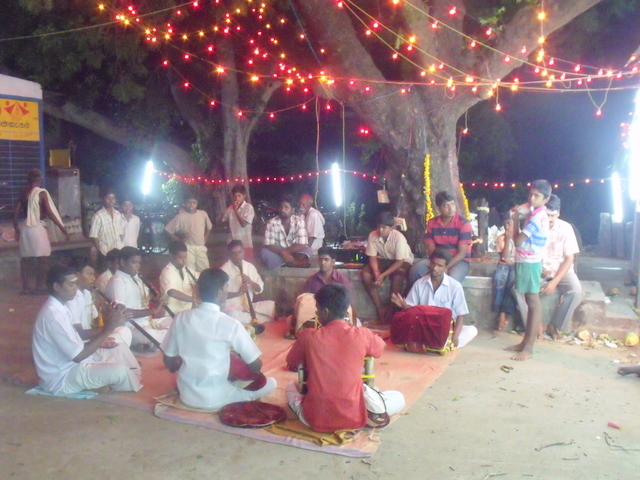 Here the traditional temple musicians with their beautiful nadaswarams and mridangam instruments, sit in a circle on the temple courtyard and play with great devotion throughout the evening, adding to the religious fervour and energy. 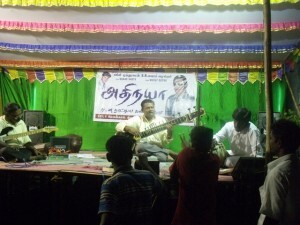 Devotees throng in large numbers to take darshan and also to enjoy the music. 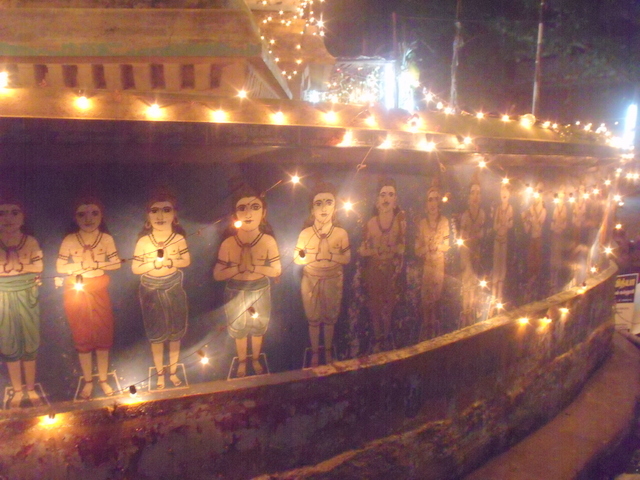 Late at night, the Goddess is borne outside in procession and taken through all the streets of the village. 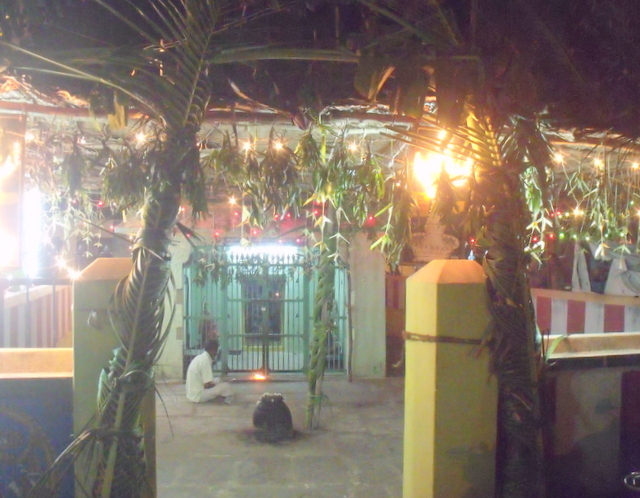 The villagers come out, enthralled, to worship Her even at that late hour for it is indeed a rare occasion to receive the Goddess right in front of their houses. Rishi Durvasa is particularly known for his terrible temper due to which he would give dreadful curses upon the offender. Rishis are great sages. 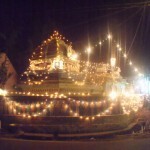 Durvasa is considered to be an incarnation of Shiva. To truly understand Rishi Durvasa, it is important to know about the power of the penance done by his parents. The father of Rishi Durvasa is Rishi Atri who is one of the three Brahma Rishis along with Rishi Gautama, and Rishi Bharadwaja. These three Rishis are known as the givers of AUM due to which they are called the Brahma Rishis. All creative process is believed to have begun with A-U-M and is therefore threefold having A which is Brahma (Rishi Gautama); U which is Vishnu (Rishi Atri) and M which is Shiva (Rishi Bharadwaja). The three deities of the Drekkana Varga are Narada, Agastya and Durvasa. All three were Rishis, holders of divine knowledge. Narada was the son of Brahma. He received the knowledge of Bhakti, devotion to the Supreme. In mythology, he is portrayed as a mischief-monger creating problems and disturbing people in order to make them think on higher planes. He represents karma and the soul. He also deals with creation as we are only created if we have karma to reconcile. 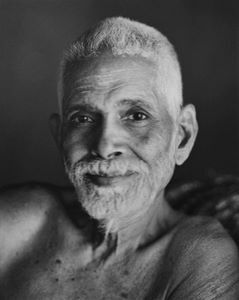 Agastya Muni was a great thinker and is linked to the mind. 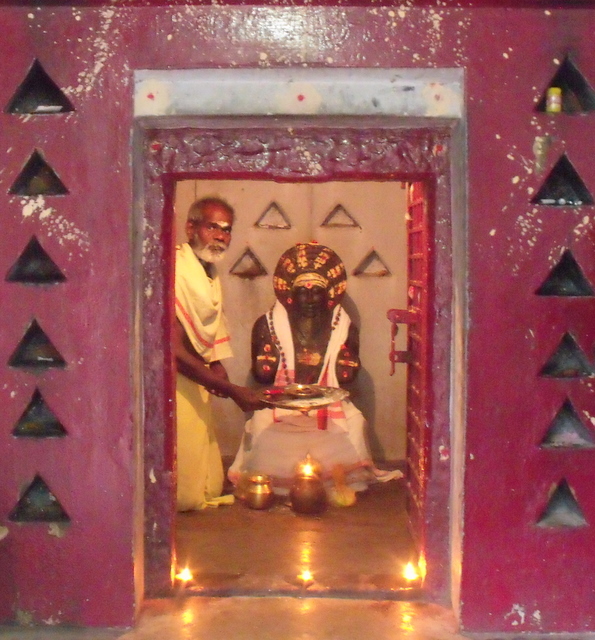 He is connected to sattva, preservation and Vishnu. Durvasa is a more difficult Rishi. He made effort to control his senses and therefore he represents the desires and their abilities to lead us astray. Durvasa is linked to Shiva, tamas and destruction. Narada works on the karmic level, Agastya on the mental plane and Durvasa on the physical desires. As Drekkana represents free will or courage, these deities represent the influence of these Rishis on our actions and behaviour. 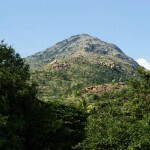 The shrine of Sri Durvasa Rishi on the Arunachala girivalam can be found on the outer path a few hundred metres before Sona theertham. Though it looks insignificant from the outside, this shrine seems to attract a number of devotees who come here mainly for two reasons: married couples who have been unable to get children come here and tie a yellow thread on the neem tree behind the shrine and then offer three oil lamps to the deity of the Rishi inside the shrine; householders who are trying to buy their own land come here on full moon nights and arrange four stones to form a niche and place a burning oil lamp inside. Apparently this practice is quite beneficial and often results in the wishes of the devotees getting fulfilled. It is strange indeed that such a wish seeking cult should be developed around this Rishi in today’s times whereas he was known for quite opposite powers in ancient times ! On the outer girivalam road just after the Vediyappan kovil (which was described in an earlier post) is the Samadhi shrine of Sri Adi Mudi Siddhar. He is supposed to have lived here in the beginning of the 20th century and attained heavenly abode towards the middle of the century. 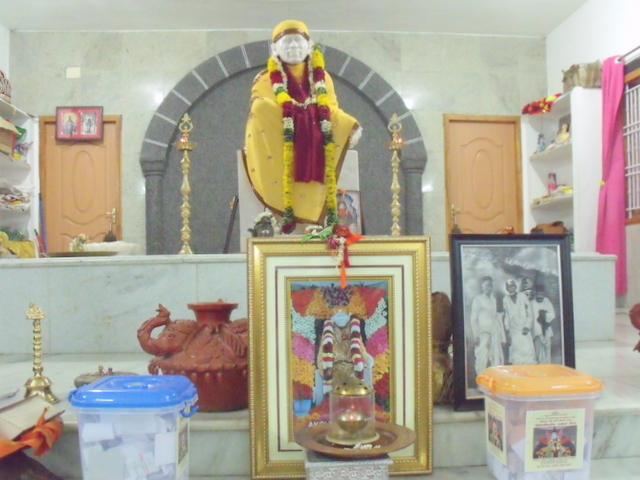 Different legends revolve around this saint and one of them being that he was a very advanced siddha purusha who could take the guise of wild animals and roam around the forest on the hill at night in this form. The samadhi where he is interred is in a little shrine with a votive Shiva lingam where puja is performed daily by a few sadhus of this area. 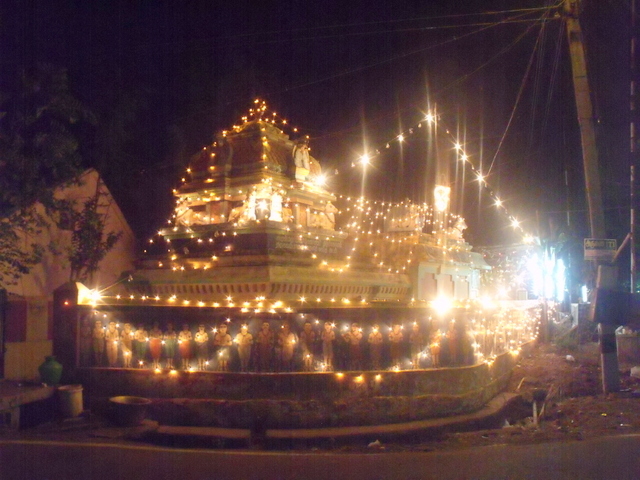 It is not really visible from the main road and attracts few devotees. The speciality attributed to this saint is that he has the power to grant relief to people suffering from ‘Othai Thalaivali” or one-sided migraine headaches. 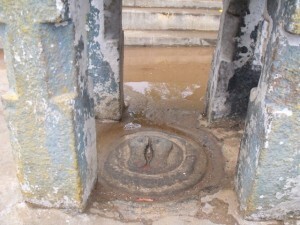 One suffering from this ailment is supposed to make three turns around the samadhi and beat his head on the walls of the inner chamber after each turn and after this to proceed on giri pradakshina. Such an act is believed to grant a permanent cure from migraine to the suffering person. The Sai Baba of Shirdi lived in the early part of the 20th century and was a great guru, yogi and fakir. 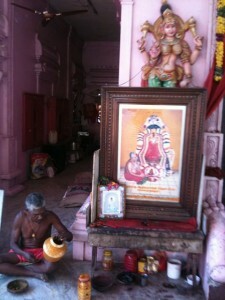 Hindu devotees consider him as an incarnation of Lord Dattatreya. Many believed that he was a Satguru and an enlightened Sufi Pir or a Qutub. His real name is unknown. 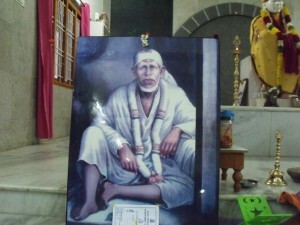 The name Sai was given to his upon his arrival at Shirdi. No information is available regarding his birth and place of birth. 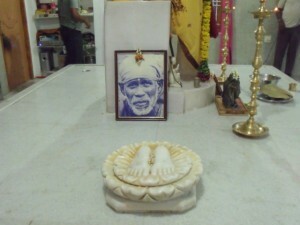 Sai Baba had no love for perishable things and his sole concern was self realization. He taught a moral code of love, forgiveness, charity, contentment, inner peace and devotion to God and guru. Sai Baba’s teachings combined elements of Hinduism and Islam. He gave the hindu name Dwarakamayi to the mosque where he lived, practiced both hindu and muslim rituals, taught using words and figures that drew from both traditions, and was buried in a hindu temple in Shirdhi. 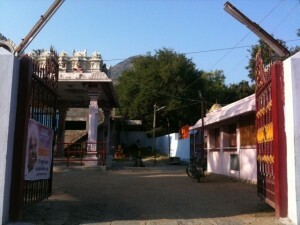 There is now a Shridhi Sai Baba temple on the Arunachala outer girivalam path. 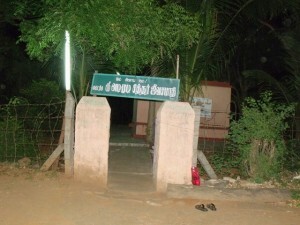 It can be found a few hundred metres after the village of Adi Annamalai just opposite the Sudhananada ashram. 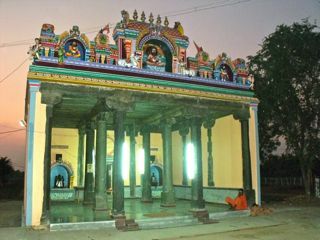 The temple is housed in a modern concrete structure with a north indian style hindu minaret on the roof. 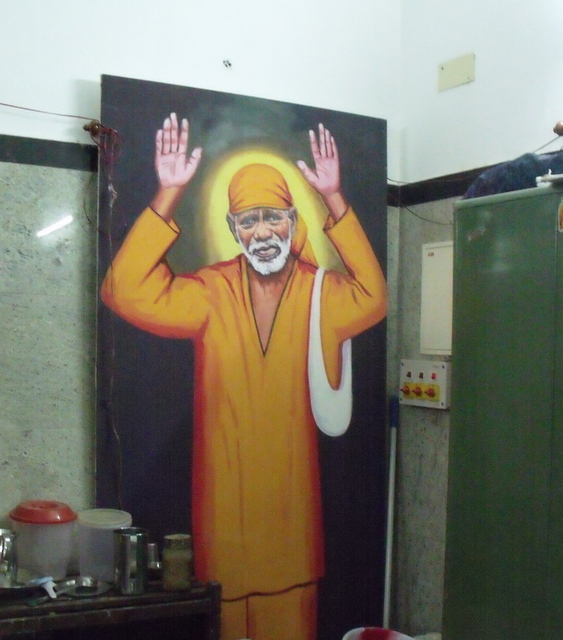 Inside is a vast room with a dazzling white marble floor and many painted pictures of the Baba in various attitudes of compassion and grace. 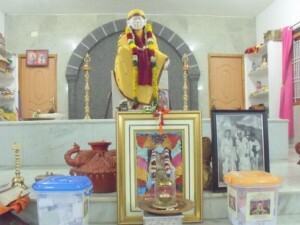 The altar itself is quite lovely with a beautiful marble statue of Baba and little votive pedestals depicting his holy feet. The only aspect that strikes a garish note is the commercial sale of religious commodities like amulets and pictures being done inside the shrine itself which effectively prevents devotees from sitting quietly in the shrine and meditating or worshipping the Baba in silence. Maybe it would be better if this activity alone were shifted to a little room outside the shrine.